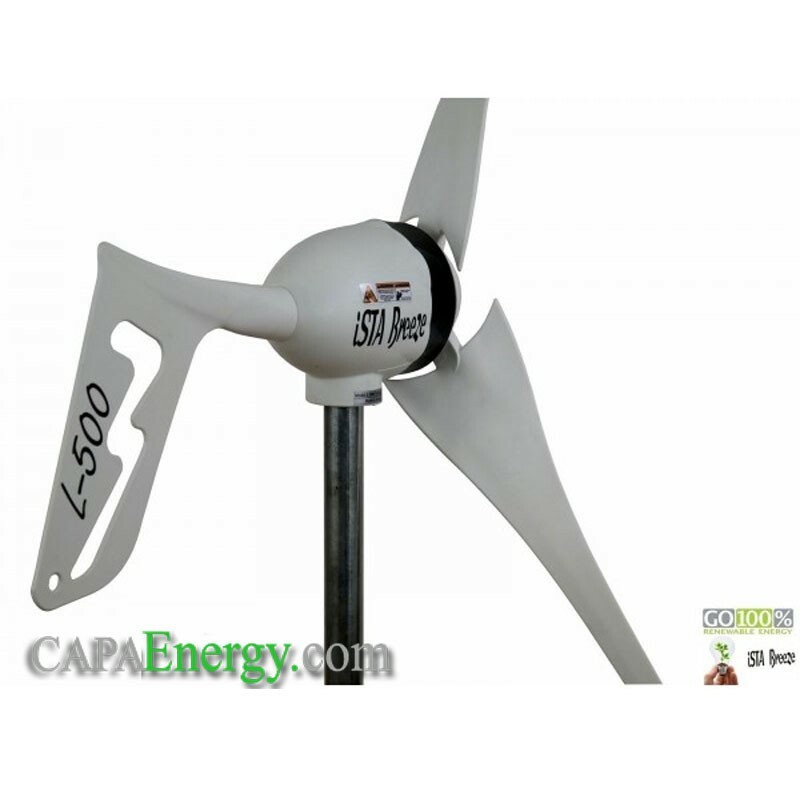 L500 Land model wind turbine is an excellent ally of the domestic economies. 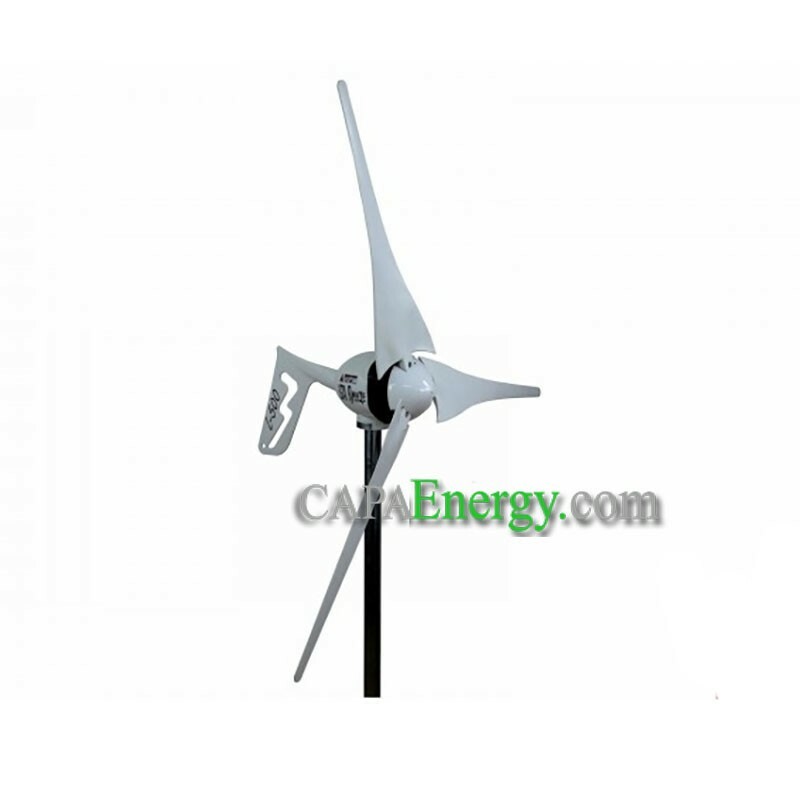 It has excellent compatibility in hybrid installations with solar energy. 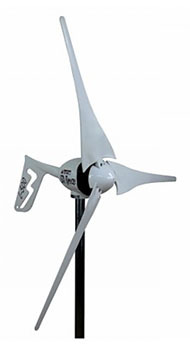 Made from fiberglass reinforced plastic, the rotor blades and housing are very durable and stable, but exceptionally lightweight. 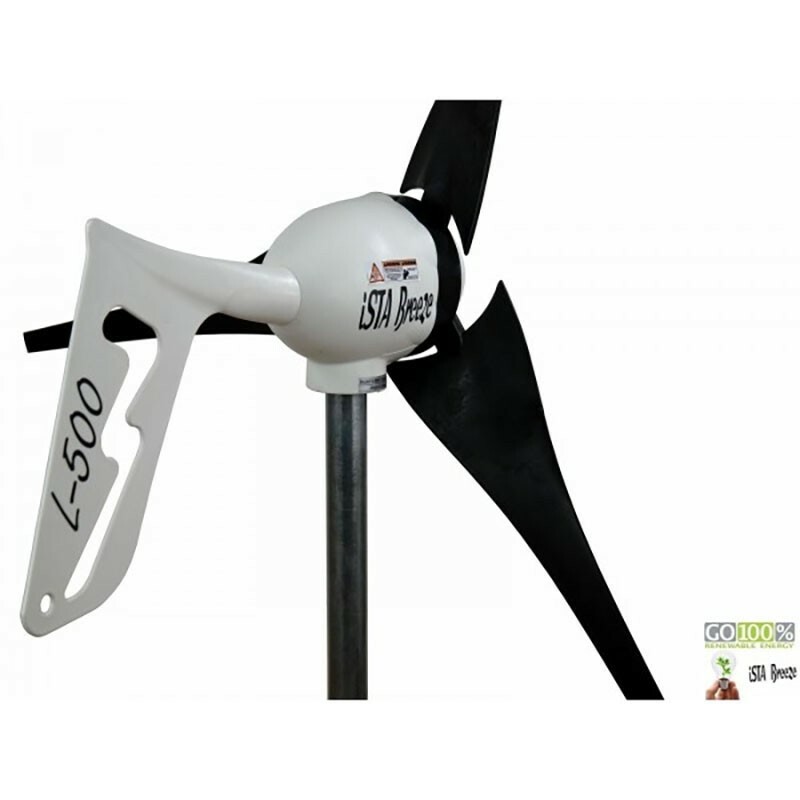 The sliding contact without maintenance (without coal) guarantees a good flow of current and therefore no torsion of the cable in the mast. Installation in the mast tube through the plug connection. Inner diameter of the mast tube required: 37 mm nominal diameter! 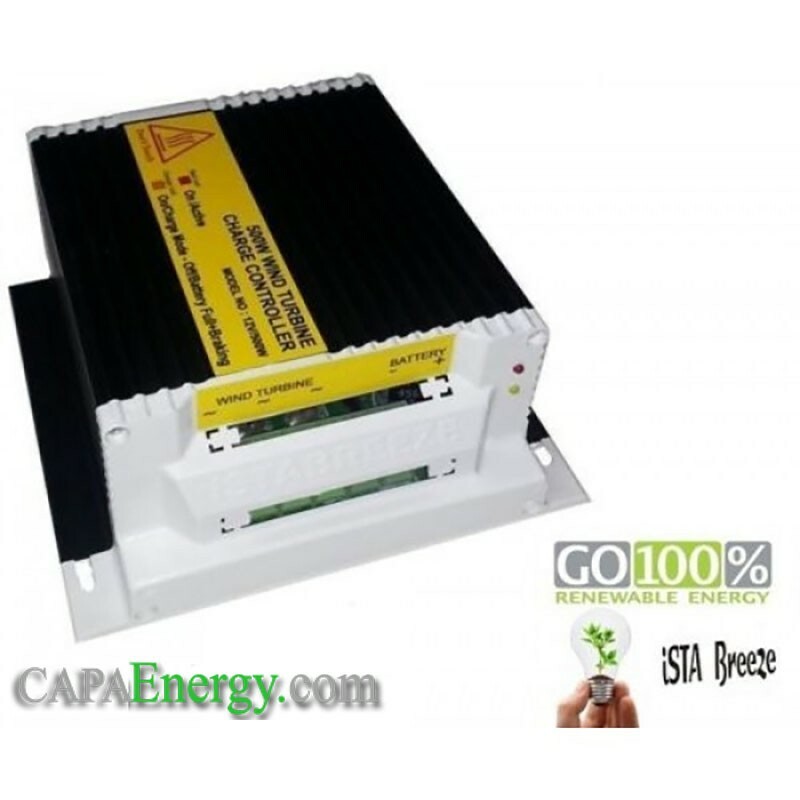 This product is used successfully 1000 times worldwide! 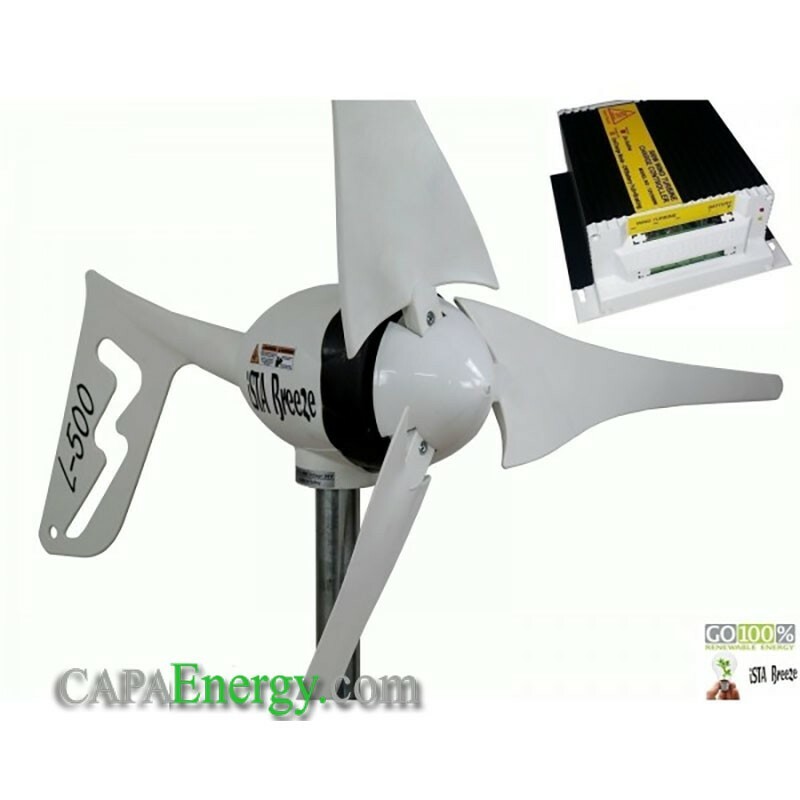 With the associated charge controller, the generator's three-phase alternating current (AC) can be used to charge 24-volt (DC) batteries and rechargeable batteries. Aluminum housing with LED for display: charging, battery connected and battery full! 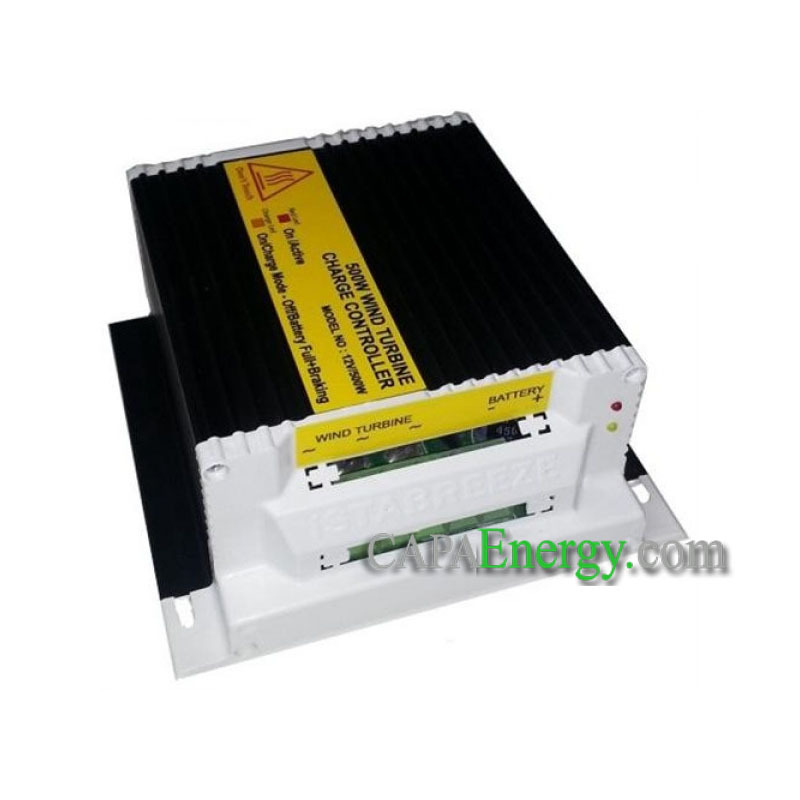 This charge regulator is a 3-phase alternating current (AC) to charge 24 volts Batteries (DC) and the available battery. 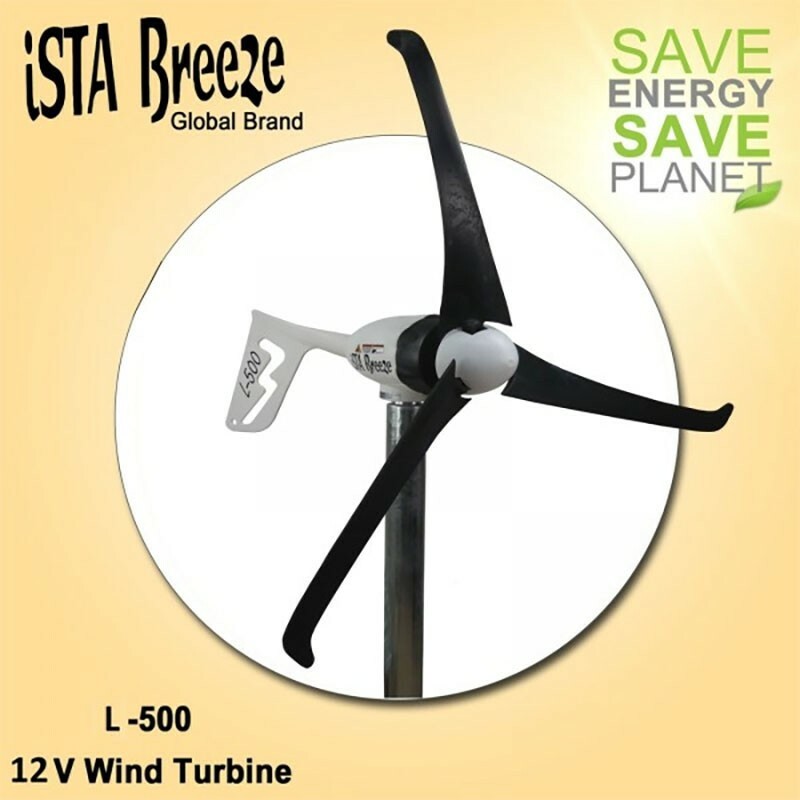 Good for our proven wind generators Breeze ista! Charging connected, battery and battery fully: aluminum case with LED for display!